Dhanani Law Firm focuses exclusively on U.S. immigration and nationality law. We work with small to mid-sized companies to help them obtain and keep their foreign national employees in the U.S. As specialists, we have the ability to stay current on the latest changes in government requirements & procedures for business-related immigration visas. Our firm is based in Atlanta. However, because U.S. immigration law is based on federal law rather than state law, were able to assist you no matter where your business is located in the United States. 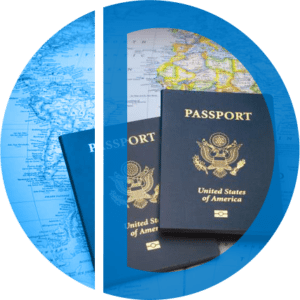 Business visitor visas are issued to foreign nationals who enter the United States to engage in commercial transactions which do not involve gainful employment at your company. Examples include negotiating contracts, consulting with business associates or litigation. This also includes entering the U.S. to undertake your company-related research or participate in scientific, educational, professional or business conventions, conferences & seminars. The E-1 visa allows foreign nationals to enter the U.S. and carry out trade, either goods or services, between your country and the U.S. To qualify for this visa, your home country must have an appropriate treaty with the U.S.
To obtain an E-2 visa, you must be an owner or substantial investor involved in developing and directing a business in the U.S. Your home country and the U.S. must have a treaty in place to qualify for this visa. The H-1B visa may be filed by your company on behalf of a foreign national entering the United States to perform services in a specialty occupation. These are generally defined as an occupation that requires highly-specialized knowledge & a bachelors or higher degree in the specific specialty or its equivalent. In order to file a successful L-1A application on behalf of an executive or manager, your overseas company must have a branch, subsidiary or parent office located in the United States. Additionally, your executive or manager must have worked for your overseas company for at least one of the three years prior to entering the United States in L-1A status. The LB-visa is issued to workers with specialized knowledge of your product, service, research, equipment, techniques or management. This includes specialized or advanced knowledge of your company applications in international markets or processes and procedures. “The worker must have worked for your overseas company for at least one of the three years prior to entering the United States in L-1B status. status is for individuals who possess extraordinary ability in the arts, sciences, education, business or athletics, or, those who demonstrate a record of extraordinary achievement in the motion picture or television industry. TN status is available for citizens of Canada and Mexico (only a select list of professional occupations qualify). When you file a PERM (Program Electronic Review Management) application with the United States Department of Labor (DOL), you are required to advertise the offered position in various forums over a period of several weeks. If no qualified United States citizens or permanent residents apply for the job, the application is certified by DOL & can be used to file an immigrant petition with the United States Citizenship and Immigration Service (USCIS). First preference status is comprised of three categories. The first, EB-1-1, is for persons of extraordinary ability in the sciences, arts, education, business or athletics who plan to work in their chosen field in the U.S. You are not required to have a prospective employer for this category. The second, EB-1-2 is for outstanding professors and researchers with at least three years of experience. The third category, EB-1-3, is for multinational executives and managers. The second and third categories do require sponsorship by an employer but do not require going through the labor certification process. Also known as second preference, this visa is for members of a profession with an advance degree or with exceptional ability in the arts, sciences or business who are sought by an employer. Third preference visas are for “skilled workers” with two years of training or work experience; “professionals” with a university degree; or “other workers” in a position that requires less than two years of training; all of which require labor certifications. This preference is for “special immigrant” visas, such as for certain religious workers, Panama Canal Treaty employees, Amerasian children, certain employees of U.S. foreign-service posts abroad, certain retired employees of international organizations admitted to the U.S. under the G-4 nonimmigrant visa, and dependents of juvenile courts. This visa grants two years of conditional residency for employment creation. You must have invested at least $1 million in a new, commercial enterprise that employs at least 10 full-time U.S. workers. This category also allows for a smaller investment of $500,000 if it is in a targeted employment area. Contact Georgia immigration lawyer Rahim Dhanani at (404) 593-0434 to discuss your immigration situation.